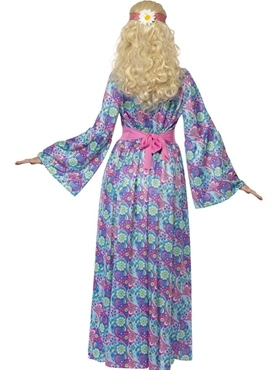 Our Adult 60's Flower Child Costume includes Blue Patterned Maxi Dress with Waist Tie and Bell Sleeves. The dress, necklace and glasses make a great outfit. I was asked if my dress was 'vintage'!! 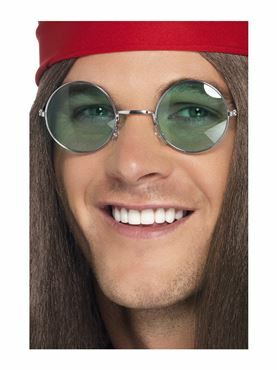 The glasses are uncomfortable to wear. Good fit but a bit long. The dress is just what I wanted. It is comfortable and made of very nice material. 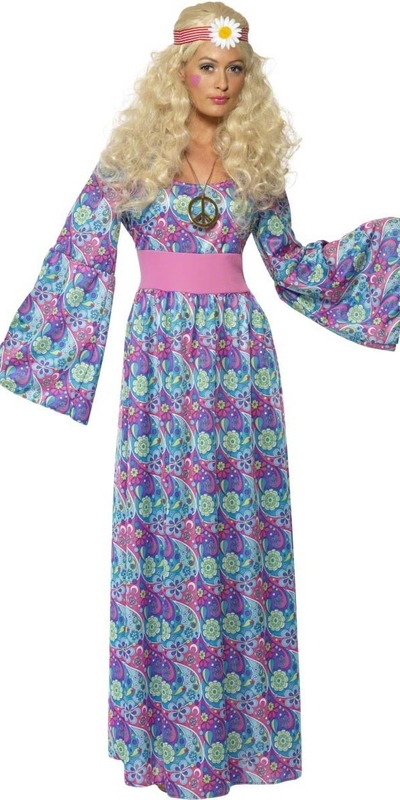 It is just right for the 60's theme party for which I bought it. 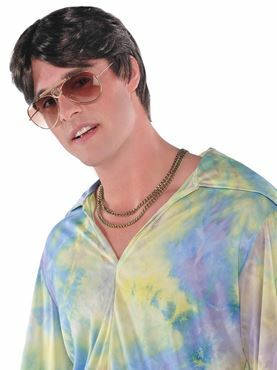 Thanks to the fancydressball company. Arrived promptly, looks great on, good material and stitched well. still looked like new the next day after waering it all ight and going to several different venues in the rain. This dress was very easy to wear. 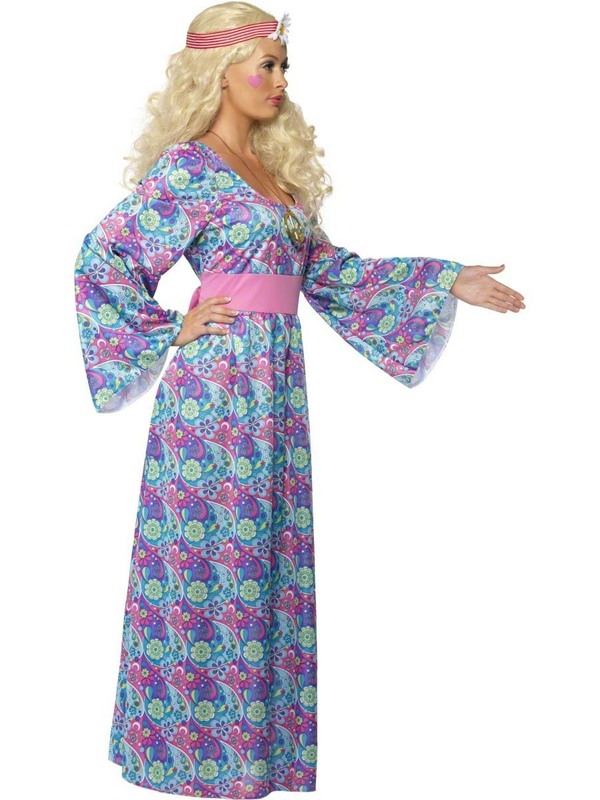 It was very appropriate as a 1960s costume and I was very happy with it.i am only 5' 1' and it was a little long for me but totally wearable without shortening. This dress was comfortable to wear. Just the right length for me (5ft.4ins).